What is beautiful fuchsia pink on the outside and white with lots of black seeds on the inside? If it wasn’t for my grandkids I wouldn’t know either. 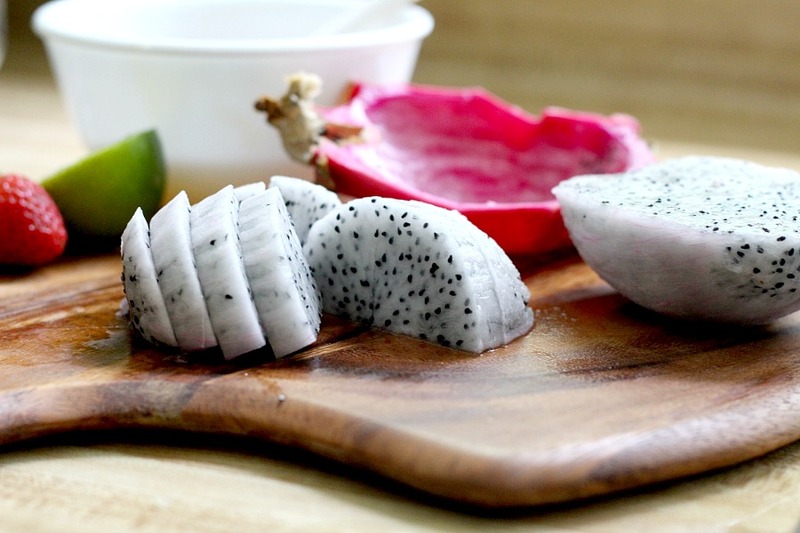 They introduced me to Dragon Fruit. 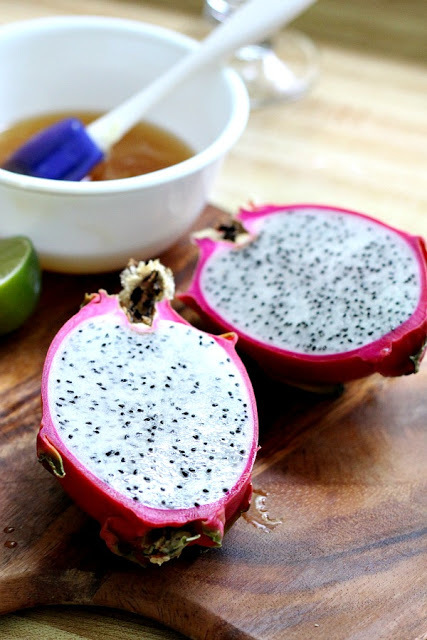 A unique fruit that adds visual interest and flavor to Dragon Fruit Salad with a Honey Lime Dressing. 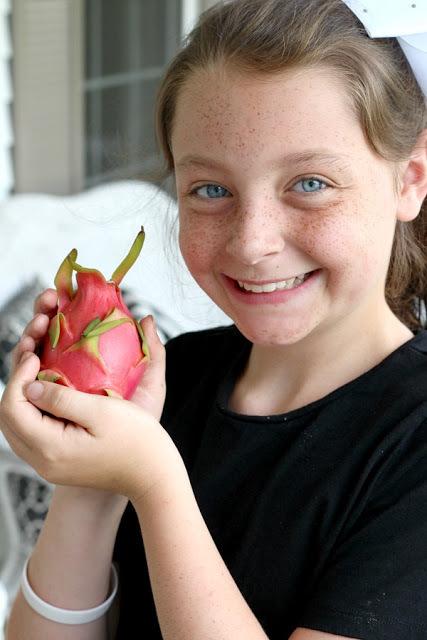 During our Starbucks visit with Shaela and Ryan, we somehow got into a conversation about this unusual fruit. On the way home, we stopped by the produce store, and much to my amazement, they had dragon fruit which is the fruit of a cactus. 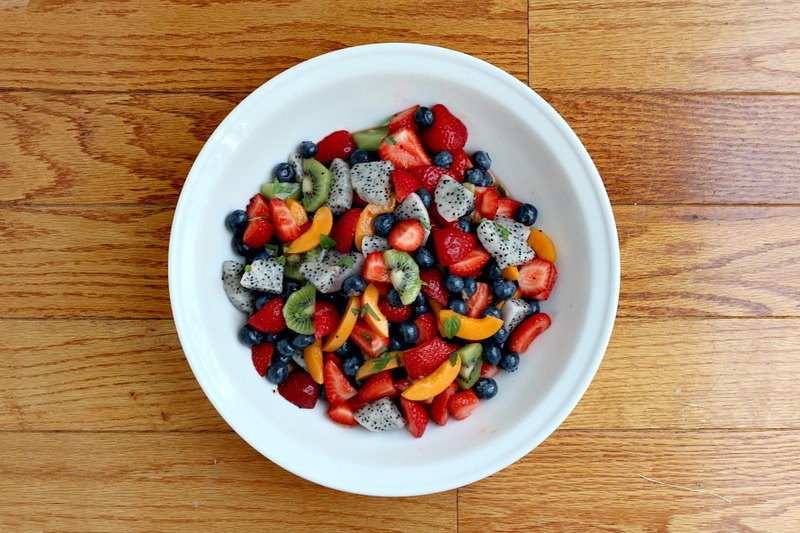 The fruit’s texture is sometimes likened to that of the kiwifruit because of its black, crunchy seeds. 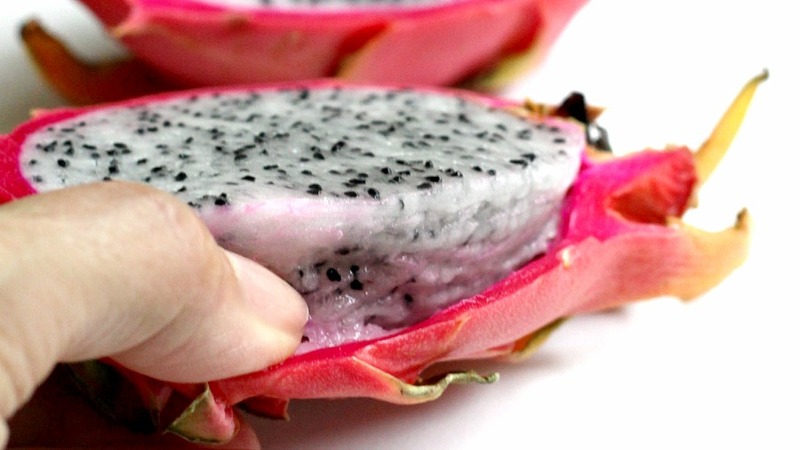 The flesh is mildly sweet and the seeds have a nutty taste. Low in calories, dragon fruit offers nutritious ingredients including vitamin C, B vitamins, phosphorus, protein, calcium, fiber and antioxidants. This visually beautiful, exotic fruit is best eaten chilled. 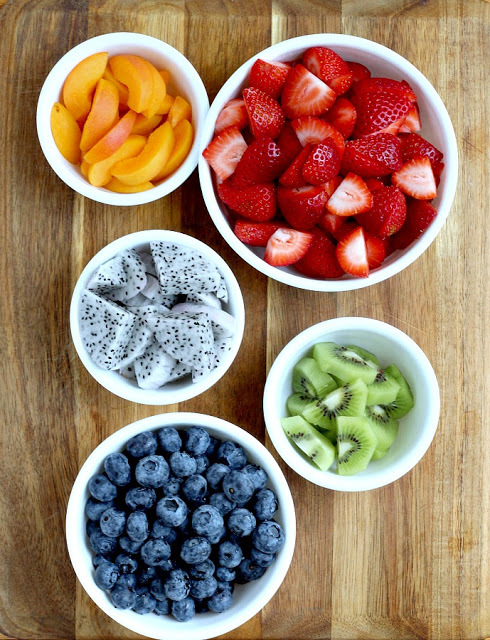 It is really easy to separate the fruit from the outer peel. 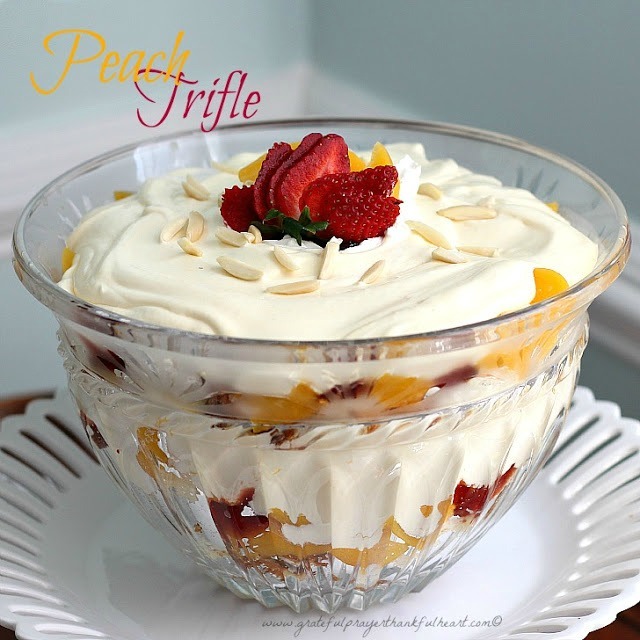 Run your thumb along the cut edge and the entire peel will pop off leaving the fruit intact. 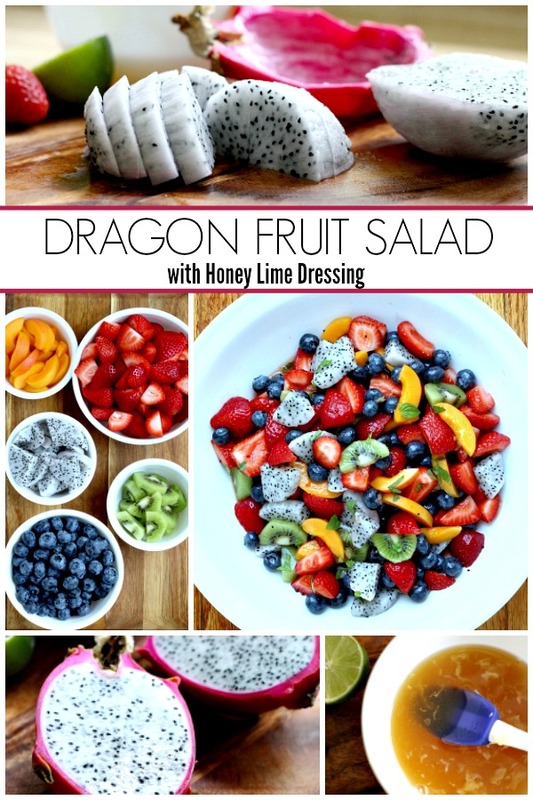 To begin the salad, slice the dragon fruit. Gather whatever combination of fruit you like or is available. Wash, peel and slice as needed. Add the prepared fruit to a large bowl. 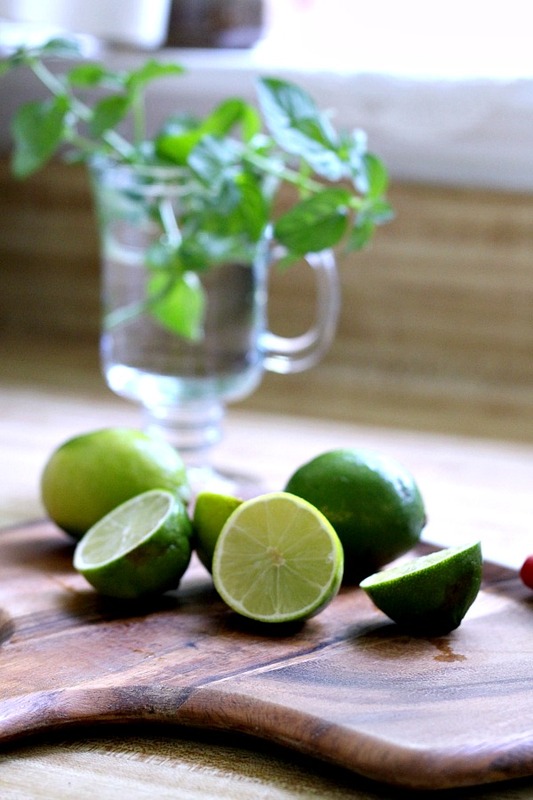 To make the dressing, slice the limes. 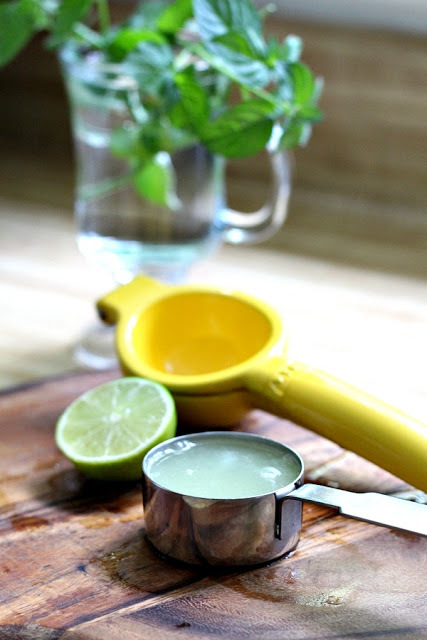 You will need 1/4 cup of lime juice. Finely chop the ginger. Here I am using the ginger that comes from take-out sushi that I don’t want to waste it. In a small bowl, combine the lime juice, honey and ginger. 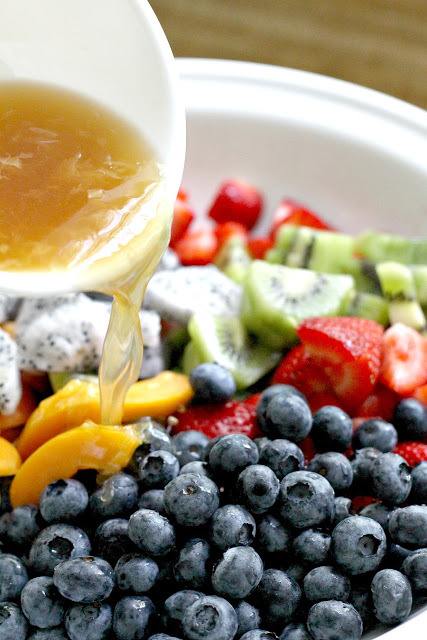 Pour the mixture over the fruit and toss gently to coat. 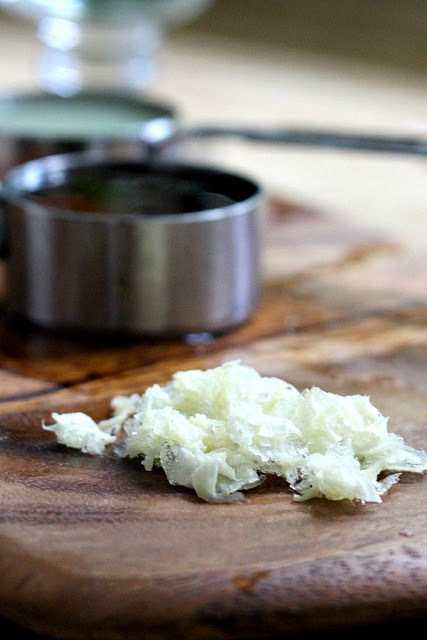 Sprinkle with fresh mint leaves and refrigerate until serving time. 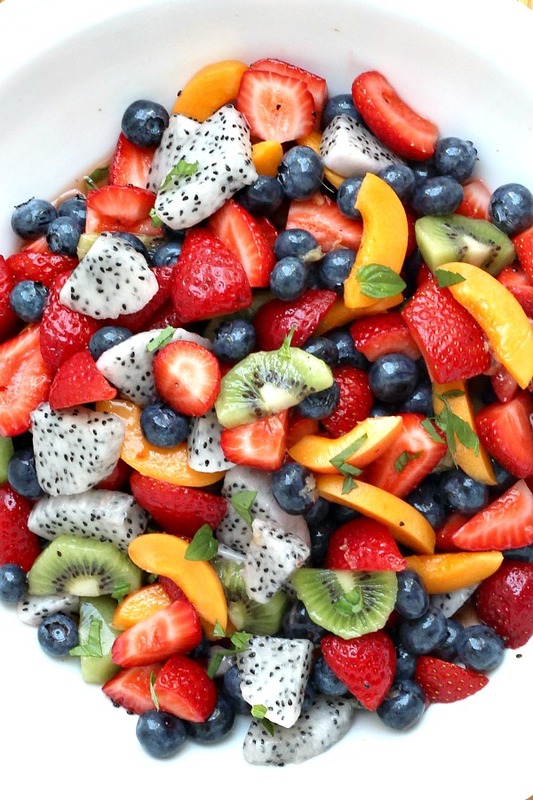 In a large bowl, combine the prepared fruit of choice. 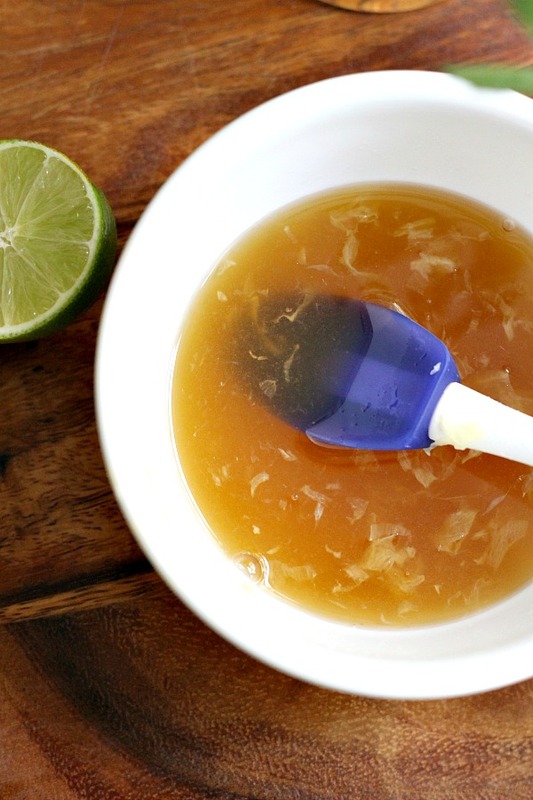 In a small bowl, combine the honey, lime juice and ginger. 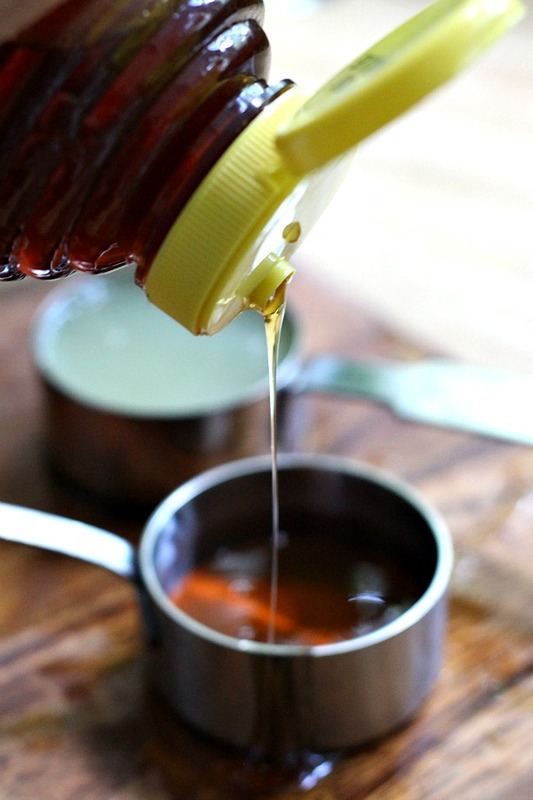 Pour the mixture over the fruit and gently toss to coat. Refrigerate. When ready to serve sprinkle on snipped fresh mint leaves.